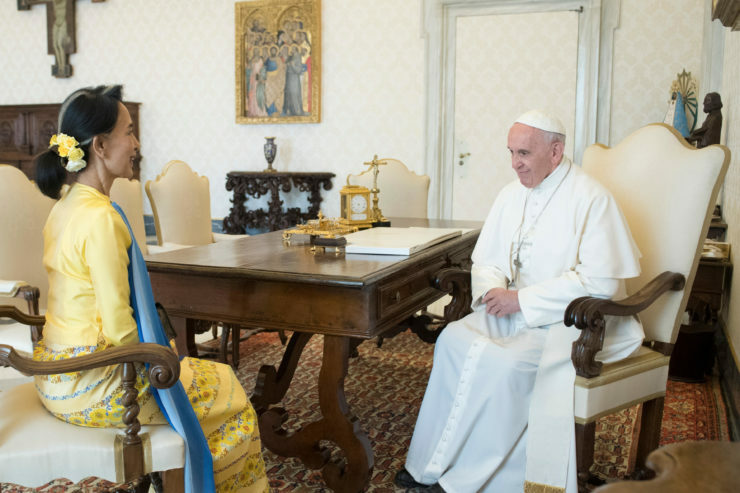 Pope Francis will travel to Myanmar (November 27-30, 2017), and to Bangladesh (November 30-December 2, 2017), said the Holy See. This is the first visit of a Pope to Myanmar and the second visit of a Pope to Bangladesh, 31 years after John Paul II’s trip in November 1986. In Burma (about 51 million people) the Catholics are 1 percent of the population, with three Archdioceses: (Mandalay, Taunggyi, Yangon) and 13 dioceses. Cardinal Charles Maung Bo, Archbishop of Yangon, 68, a Salesian of Saint John Bosco, was created a Cardinal by Pope Francis on February 14, 2015. He is the first cardinal of Myanmar. In Bangladesh (about 156 million people), Islam is the State religion: 90 percent are Muslim, eight percent Hindu, two percent represent other religions. Christians are about one percent, half of them Catholics — a small community of about 350,000 people. On November 19, 2016, Pope Francis created the first cardinal from Bangladesh, Cardinal Patrick D’Rozario, Archbishop of Dhaka, 73. He is a professed member of the Congregation of Holy Cross.